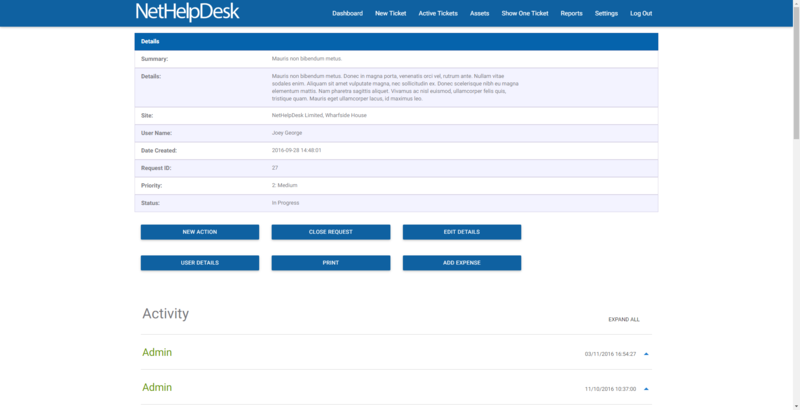 NetHelpDesk comes with an End-user and a separate Agent Web Interface, to access and action tickets using any web browser online. 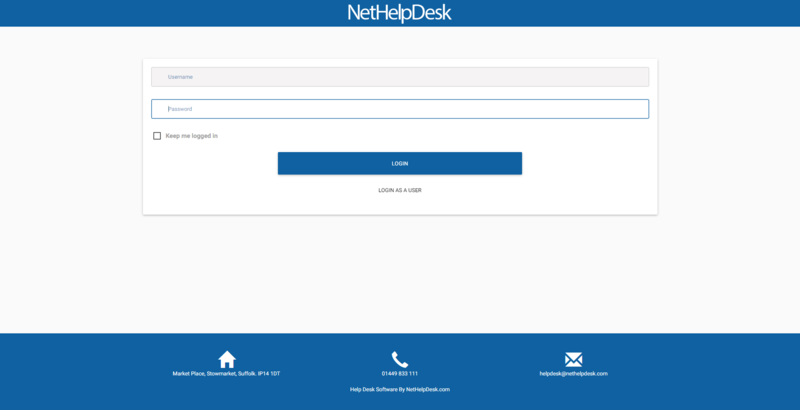 The Web Interface allows access to the NetHelpDesk information via standard web browsers using ordinary HTML. There are no plug-ins or JAVA required to run these. It's a standard template, that you customise as required. This allows all of your Agents to gain access to information you want them to see, and work on what they need to whilst not in the office. Custom forms, statuses and so on, come through to the web interface, as you would expect them to. Simple, powerful and customised to your company requirements. 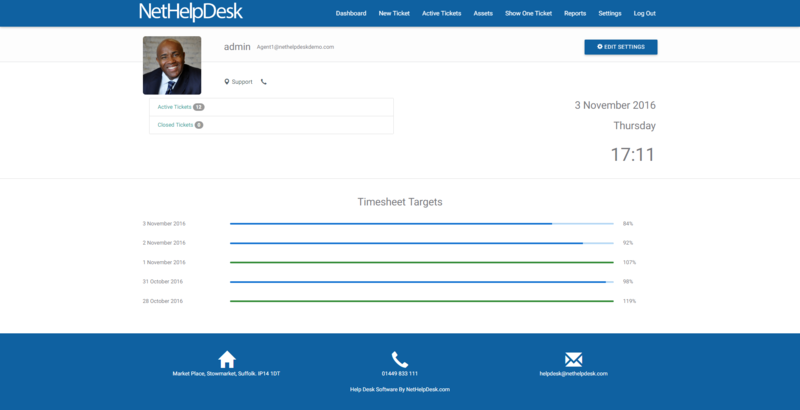 Your team on the move will never know how they existed without NetHelpDesk's amazing technology, and all their problems will seem a world away. Access Active and Closed Tickets assigned to them or their Section. View Tickets by Agent, Status, Priority, Area/Client, Site and User. See and update request info, including any custom fields. View all public and private actions added to the ticket throughout day. View Service Level Agreement (SLA) time information. Search all Knowledge Base entries for guidance. Raise new requests, including custom and dynamic drop-downs. Log Calls directly against Assets, Users, Sites, Customer. Look up Asset Details by Site, User and Asset Type, and view Info. View Site Documents for the Client/Area's Site that you have stored. Add Holiday and other Time Usage outside of Tickets. Printer-Friendly print screen, for immediate printing of requests. Auto-Login using Windows Authentication, if available. Sort view by ID, Priority, Site, Username, Fix By Date, and more! Save requests report to CSV, Excel or PDF formats for analysis. iPad/Tablet Compatible, to look more professional whilst on site. The Agent Web Access interface can be used by anyone who has log in access to the main Windows Interface in your organisation. The licence for the main interface covers the portal as well, and no additional cost involved. It runs on any machine using Internet Information Services (IIS) web server. The system uses a compiled CGI executable for speed. 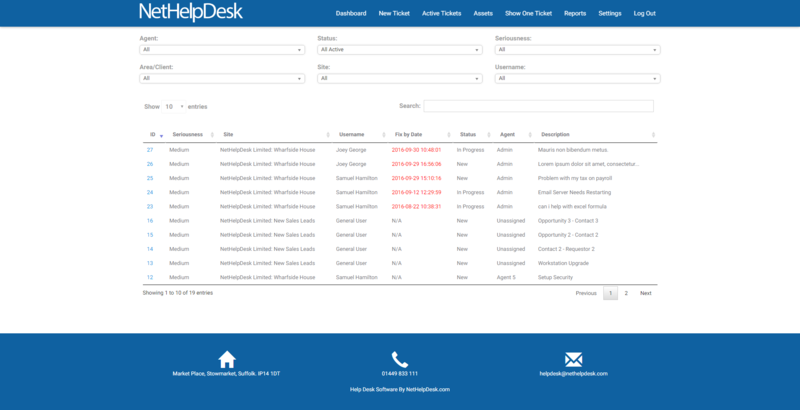 The underlying functionality will be provided by the NetHelpDesk components. All HTML files can be edited and customized to individual requirements. You can also setup multiple websites using the same database, but have different web appearances for each one. This is particularly useful if you have different departments using the same database, or have particular Customers you wish to provide a more personalised environment for.